David Stokoe's body was found in a hidden crawl space in a Salt Lake City home. Three people have been arrested in the killing of a father of four whose body was found hidden in a secret room at a Salt Lake City house he was renting to the suspects, police said. David Stokoe, 40, a popular real estate broker in the Salt Lake City area, was reported missing by his family on Friday, a day after he paid a visit to his tenants to evict them, according to police. Salt Lake City Police Sgt. Greg Wilking said police went to the apartment Stokoe rented to the suspects after learning the landlord was never seen leaving on Thursday. (Salt Lake County Sheriff's Office) A man and two women were arrested over the weekend in the killing of David Stokoe, a landlord police believe was shot to death in a dispute over rent. The suspects are, from left, Jessica Miller, 38, Diana Hernandez, 30, and Manuel Velasquez, 31. Wilking said officers on Friday discovered evidence at the apartment leading them to believe that someone was seriously injured there. While investigators were processing the scene, they discovered a secret door leading to a crawl space where Stokoe's body was located, Wilking said. He said Stokoe had been shot to death and police issued an all-points bulletin for his missing 2015 Cadillac Escalade. On Saturday, police located the Escalade in the Salt Lake City suburb of West Valley City and detained two people found in the vehicle for questioning, Wilking said. He said the two people discovered with the Escalade have not been linked to Stokoe's slaying. (KTVX) Crime scene tape at the house where the body of David Stokoe, a landlord police believe was shot to death in a dispute over rent was found in Salt Lake City, Utah. Wilking said investigators tracked down the suspects in the killing around 6 a.m. Saturday at an apartment in South Salt Lake. Manuel Velasquez, 31, was arrested on suspicion of murder, while two alleged accomplices, Diana Hernandez, 32, and Jessica Miller, 38, were arrested on suspicion of obstruction of justice. 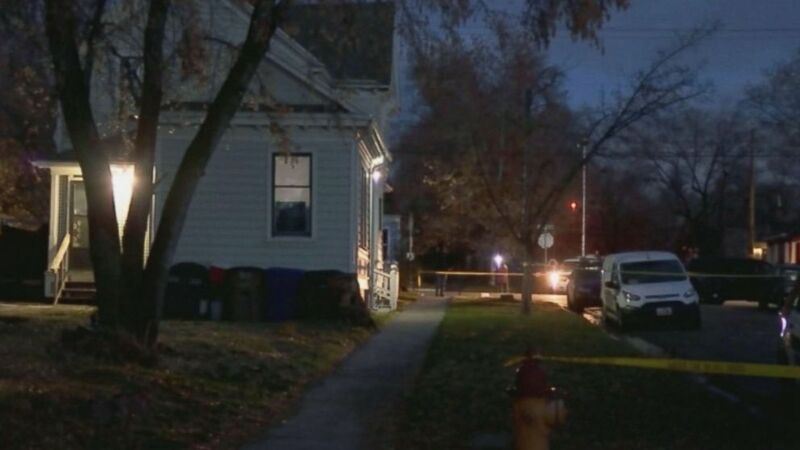 Police said Hernandez and Miller, who also goes by the name Jessica Reese, allegedly helped clean up the murder scene and hide Stokoe's body after Velasquez allegedly shot him during a fight. It was not clear Monday if the suspects had retained legal representation. Stokoe's family, meanwhile, said their hearts were "broken over the loss of David." "We know we will see him again someday, and that families are forever," the statement reads. "We are choosing to focus on the love we feel from everyone and the love we feel for Dave, rather than resentment surrounding the circumstances of his death. He's cheering for us, watching over us, and wants us to love life and love each other." In an interview with ABC affiliate station KTVX-TV in Salt Lake City, Neil Stokoe described his brother David as his "hero." "I idolized Dave, everything he did," said Neil Stokoe, adding that he and his brother are among six children in their family. "He was a very charismatic individual and just loved people. Dave was a warrior. Dave was a leader." He said their older brother, Steve Stokoe, killed himself when he and David Stokoe were young and that David took the initiative to turn the tragedy into something positive to help others coping with depression. "I look at how he handled that trial and challenge," Neil Stokoe said of David. "He was really, really tight with Steve and for him, he worked through it and then turned it into something to where he would go out to high schools and talk about suicide prevention and tell his story." Neil Stokoe said he hopes to follow his brother's example and turn his murder into something positive. "Knowing Dave, he would take this opportunity and not see it as a tragedy," the brother said. "He would look at it as an opportunity to remind people to make time for the things and people that mattered."